Laboratory Refractometer, Rudolph’s J457 with Smart Measure™ Technology Improves Results! The J457 Electronic, Laboratory Refractometer is the most capable instrument in the Rudolph Research Refractometer Product Line. 3 models/configurations are available. All come with Rudolph’s exclusive Smart Measure™ Technology that virtually insures accurate Refractive Index (RI) and BRIX, measurements by automatically detecting sample problems. The J457 can determine when the prism is improperly cleaned, insufficient sample is loaded, or if the instrument is improperly calibrated. Various configurations are available for a small footprint, wall mount, or a remote-read factory configuration. All models come with a digital touch screen, and our Dual Temperature Control System utilizing Peltier Technology. 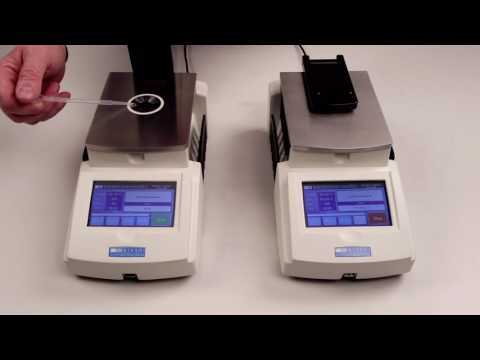 See the Rudolph Research J457 Laboratory Refractometer in action! The J457 Laboratory Refractometer, Simple to Operate Without Sacrificing Accuracy or Capabilities. The Rudolph J457 can be configured with a Load and Go Measurement feature for your routine measurements tasks. Initiating a measurement begins by placing a sample on the prism. There are no buttons to press and all measurements are made based on the per-determined Method. This allows the J457 to maintain it’s high level of accuracy and performance with Load and Go convenience. Take a look to see how easily routine measurements can be made in the following video. Experience has shown that incorrect laboratory refractometer measurements are often linked to cross contamination caused by the previous sample being inadvertently mixed with the current sample being measured. Ensuring that the prism surface is properly cleaned between measurements can be difficult for busy environments where multiple operators are involved. Rudolph Research Analytical has solved this problem as well as the related problems an inaccurate measurement can cause. Automated clean prism monitoring is now integrated in the Rudolph Research J457 Laboratory Refractometer. Smart Measure™ knows when the Refractometer’s prism is clean. If the prism surface does not produce the correct “Clean Prism” result then Smart Measure™ notifies the Laboratory Refractometer operator that further cleaning of the prism is necessary. Smart Measure™ notifies the operator that it is ready to measure after the prism is satisfactorily cleaned. The refractometer is now ready to make an accurate RI or BRIX reading with a verified clean sample well. > An insufficient amount of sample covering the refractometer’s prism surface. > Sample contamination or improper refractometer calibration. > The sample has air bubbles that affect measurement results. Smart Measure™ Features – J457 Electronic Refractometers (all models). Rudolph’s exclusive Electronic Dual Temperature Control System. J457-SC Automatic Refractometer in Standard Bench-top Configuration. J457-WC Automatic Refractometer in a Wall Mount Configuration. J457-FC Automatic Refractometer in Factory Configuration. 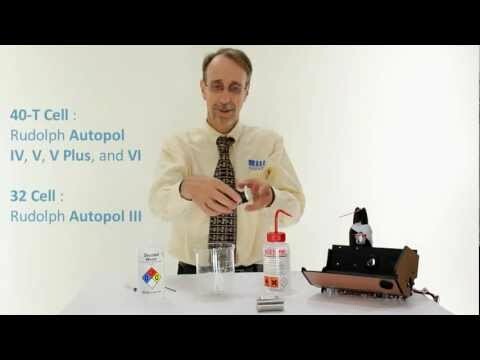 RI Measurement Kit for Solids, Semi-Solids, and Films. Refractive Index measurement of solids and semi-solids is useful in laboratories for insuring the quality and consistency of transparency and pigmentation. Refractive Index is often measured on incoming materials and finished products. Highly accurate RI measurements are possible with the J457 Refractometer utilizing Rudolph’s Solid / Film measurement option and accessories kit. and up to 100 custom programmed scales. 10.4 inch diagonal, 800x600 pixels, color, Flat Panel Monitor with Resistant Touch Screen Interface, 400 nits brightness, gasketted for spill protection.